HOUSTON -- We're seeing examples of the spirit of Houston all over our flooded area. Four bakers are a fantastic example of that. 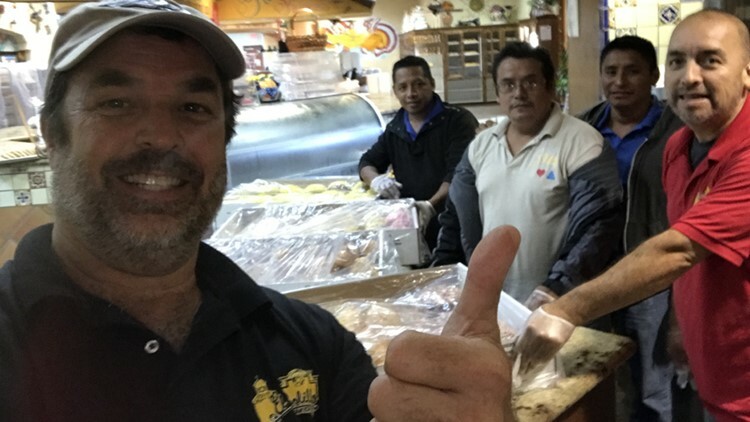 They were at work inside El Bolillo Bakery in southeast Houston over the weekend when the devastating flooding began. Before long, they realized they were stuck by floodwater. They still had electricity and the store remained dry, so what did they do? They baked! And then they baked some more. They spent the entire night making Mexican loaves of bread and pan dulce. Once they were able to get out, they took the bread they baked overnight and delivered it to shelters for evacuees and to Texas Children's Hospital.